Zebra is one of the animals in the family horse with black and white colors all over his body. Stature is no different with horses in General. Zebra is very easily distinguished from other horse types of skin colour schemes that are striped in black and white. Although a cursory look the same, each zebra has a striped pattern that is different from each other. Dappled on the body’s defense system can help the zebra zebra against predators. Striped zebra can confuse predators. Striped zebra on the body break down the contours of an animal, disguising the original shape of the zebra. When moving, zebra pattern that’s more confusing again. In contrast to the usual plain horse. Zebra is one of herbivorous or plant-eaters. Its main food is grass. But sometimes these animals also eat shrubs, leaves, twigs, bark and even. 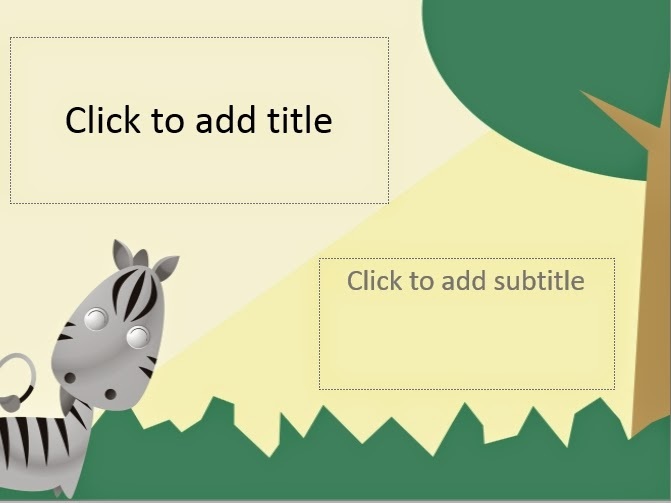 Therefore, the zebra is found in grasslands or the like. in General, the zebras live in groups. by living in a group will help in maintaining a zebra in his life. 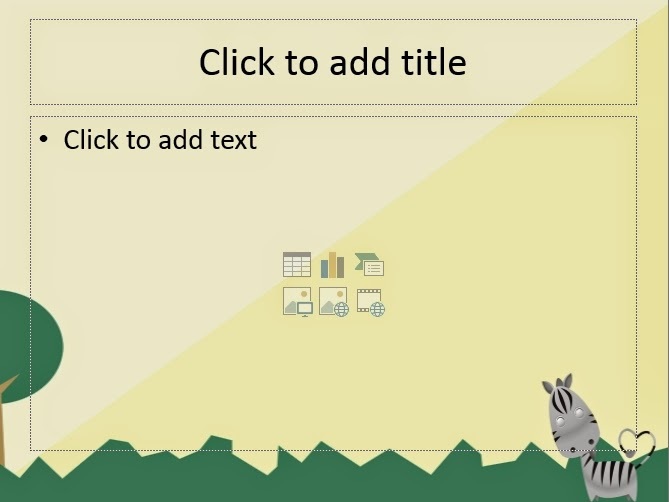 on the powerpoint template shows a zebra in a small meadow. the grassland looks green with shady trees. Zebra in the template looks funny with dappled across her body.